Looking to start your own online store? One option is to use a fully fledged e-commerce solution to build your web site and setup your shopping cart. But for those with limited resources who want to get their online business up and running as soon as possible, a better option is a shopping cart plugin. A shopping cart plugin lets you create an online store form within an existing web site without all the technical learning curve and costs associated with a dedicated e-commerce solution. The best shopping cart plugin will go beyond providing you with a online store front, it should also offer many of the advanced features found in dedicated e-commerce packages such as payment gateway support, order management, inventory, reporting and more. Designed specifically for WordPress, the WooCommerce shopping cart plugin can help you launch a self-hosted, WordPress-based online store in no time. Read on to find out what makes WooCommerce the best shopping cart plugin for WordPress-powered websites and blogs. WooCommerce has everything a small business needs to turn their WordPress site into a fully functioning online store. Used by thousands of businesses of all sizes, it offers both basic and advanced features to help you build and grow your own e-commerce solution. Perhaps the best part of WooCoomerce is it’s price. It’s completely free to download, with no ongoing monthly fees. WooCommerce generates it revenue by creating a series of high quality plugins and themes that help to extend it’s standard feature set. 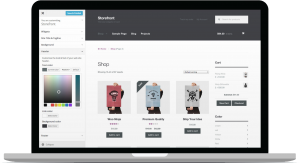 There are however many WooCommerce themes and extensions which are free, but the paid versions tend to offer more advanced features and capabilities. Payment Processing. Handling payments correctly is perhaps the most important aspect of running any online store. If your customers can’t provide payment quickly and easily then they may go elsewhere. Luckily WooCommerce provides support for a wide range of commercial payment gateway services along with PayPal, Cash on Delivery and even encrypted currencies such as Bitcoin. Order Management. Perform back-office tasks straight from the WooCommerce dashboard. For example, get a handle on order fulfilment using a wide range of shipping carriers, services and add-ons to make logistics work for your business. WooCommerce also offers inventory management tools and the ability to assign specific team members to certain tasks. Order Management. Day to day management tasks such as order fulfilment and inventory can be managed straight from the WooCommerce dashboard. From within the dashboard you can add stock and manage existing inventory, define local and international shipping rates, generated sales reports and manage all the orders. Marketing. WooCommerce lets you create many different types of promotions, such as discount options, coupon campaigns and free shipping offers. Advanced options include the ability to limit the number of products that customer can purchase at discounted prices, or restricting promotions to particular types of customers. Reporting Measure your online store’s success. Generate all types of reports, such as incoming sales, stock levels, product reviews, overall store performance and more. 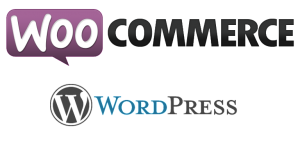 WooCommerce works from the same premise as WordPress itself, by allowing you to extend its appearance and functionality through the use of extensions and themes. 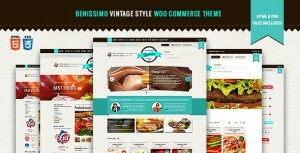 Themes control the appearance of your store, allowing you to add your own logo, headers and other branding. Whilst you can look to having a web designer to create a custom theme for you it may be cheaper and more convenient to select something from WooCommerce’s library of free and commercial themes along with the hundreds more offered by WordPress and other third-party developers. 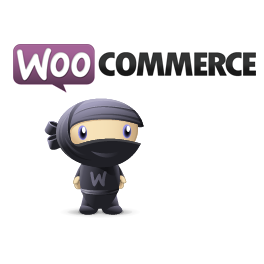 Extensions provide a way to extend the feature set of WooCommerce. This allows developers to provide new enhancements with payment processing options, order management, accounting, reporting and analytics. As with themes, WooCommerce also provides a large library free and paid extensions that let you integrate different business functions into WooCommerce to compliment your work flow. WooCommerce is simply a plugin that powers the e-commerce part of your online business, you will still need to set up WordPress itself and build out the other sections of your site as well. There may also be a learning curve for some business owners. For instance, the platform doesn’t have a drag-and-drop website builder, so you’ll have to learn and rely on whatever options your theme and extensions offer to change your store’s look and feel. If you’re already familiar with the WordPress platform, however, WooCommerce will be very easy for you to use, as it works the same exact way as WordPress does. Unlike solutions such as BigCommerce or Shopify, WooCommerce doesn’t provide you with the hosting infrastructure required for your online store. You’ll still need to find your own web hosting plan, purchase a domain name and set up your WordPress site. WEB24 have a range of e-commerce web hosting packages to fit a variety of needs, with each plan providing an additional amount of storage, email accounts and bandwidth as required. You can order any of our e-commerce web hosting plans online or if you have an existing WordPress web site that you would like to migrate then our sales team would be happy to discuss your specific requirements on 1300 493 224.